Welcome to the Xplornet complaints department brought to you by HissingKitty. Experienced poor customer service? We make it easy to file a formal complaint against Xplornet online. Simply use our free form and your feedback will be instantly forwarded for review. 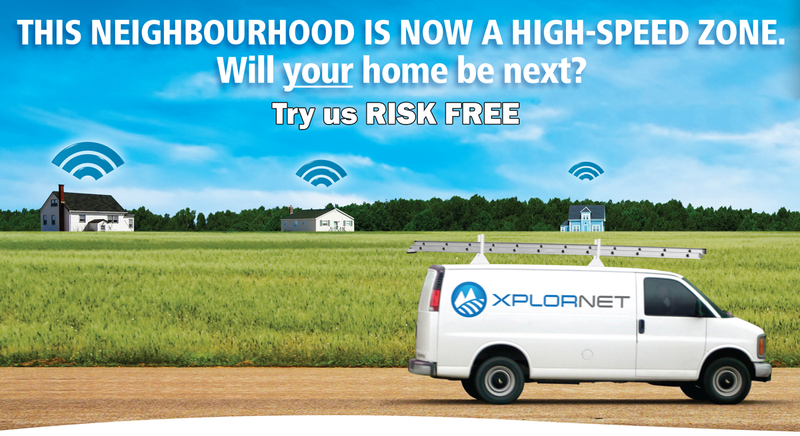 Need to contact the Xplornet corporate office? We have the mailing address, phone number, and email address listed below. My complaint is the same as the others, the service is ok at times when it's not needed. I upgraded from a 10/50 plan to a 25/100 plan, believe me it was no upgrade! I was told by them this option was available to me now. It has been nothing but frustration since, simply because I was lied to. I bought a new router (suggested by them). I put my computer in for a 'physical' (also suggested by them). On top of all the frustrating evenings I am also out an extra $200. Anyway, after many many upsetting conversations on the phone the best they can do for me is put me back where I was to a 10/100 plan, a new contract (why?) you cheated me out of my first one! I will break that contract if I must, enough is enough!! We signed up to Xplornet in June for the 25MBPS 400GB package and for the first couple of months it was great and we seldom went below 15MBPS speed. Now at around 6pm to 10-11pm we barely get 1MBPS or even 800KBPS and when you call to complain they don't want to do anything and say its due to high traffic. When I ask why the speed was good during the trial period and they cannot answer that. The speed is unacceptable and the worst part about it is that I called and spoke to several people prior to joining and they all reassured me they do not throttle the speed only if you get close to going over your data. They should be charged for false advertising or something cause they are charging a lot of money for a terrible service. On January 20, 2018 I contacted Xplornet I order to pay my outstanding December's Invoice of $52.28. I requested the Xplornet Customer Service representative to credit $70 from my TD VISA, with whatever remaining to be included on January's Invoice. I made a payment arrangement for January 9th, 2018 in order to clear up January's invoice. I had been in continuous contact verbally to avoid any suspended services. After arrangements were made and agreement of $70.00 to be credited I then accessed my bank account. Xplornet had without authorization taken $122.00 out of my account! I called immediately, whereas I was informed there was nothing they could (would) do and that my account was "past due" of $122.00. My account was not past due and I required a payment of $52.28 to close out December's Invoice. The company had no right to illegally remove funds. There was also no conclusion or reimbursement made to my account of approximately $50. They do not consider any facts or have any inclination on to just what repercussions this has had on other obligations. I am disgusted by the lack of empathy or consideration. Fifty dollars buys groceries, Internet is not considered an Emergency service but because they are the only company within my area they feel they can access my bank account and credit my account any amount they wish. If I choose to be in past due or suspended service, then that is something I need to deal with. They did not have any right to take money that is not theirs to take. About 10 days into the last billing cycle we got an email from Xplornet telling us we had already used 84 percent of our allotted time. Normally it takes us the full time to use that much. We had actually been using no more and likely a little less. We noticed it was going up fast for what little we were using. When it reached 104 percent in about 12 days we switched to only using our other 2 internet providers. I tried several times through emails to Xplornet customer relations to rectify it but all I was getting back was stupid excuses for why it went up so fast. When we checked our usage for the last 30 days on oct 3rd it stated we had used 23.06 of our allotted amount in last 30 days. I agree with that number. The last check we done in sept we were told we had used 109 percent of our allotted amount. There is no way it can suddenly go from 109 percent down to 23.06 in a matter of hours. That to me is prof of either fraud or very poor record keeping on their part. I feel they should be forced to pay me $150 in compensation for us having to use another provider.